The city’s top-notch convention center, vibrant downtown and tech culture help make it a perfect location for this year’s event. For the first time, the Total Tech Summit will be heading to Pittsburgh in 2018. From Nov. 7-9, 400 of the top custom, commercial and security integrators in the country will arrive in western Pennsylvania for 2.5 days of working toward growing and improving their already superb companies. The location for this year’s Summit will provide an engaging environment in a location that is one of the top up-and-coming tech hubs in the country. 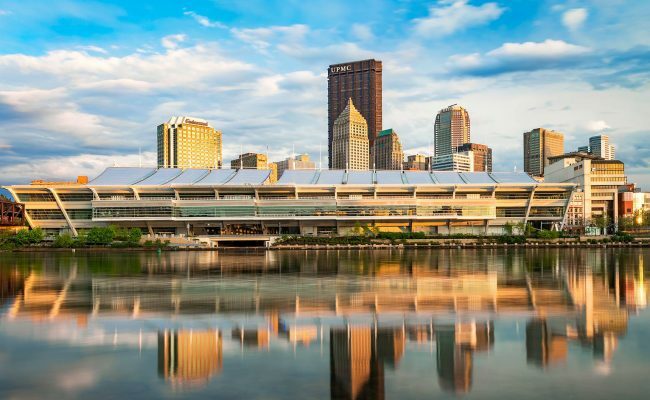 The Summit will be held at the David L. Lawrence Convention Center, a 1.5-million-square-foot facility located directly in downtown Pittsburgh on the banks of the Allegheny River. It is only 15 years old and became the largest LEED Gold Certified convention center in the world. Its location is convenient for anyone looking to explore the city, especially as downtown Pittsburgh is immensely walkable. The Golden Triangle – the area that makes up the downtown – is so compact that no two points within it are further apart than a 15-minute walk. Within that Golden Triangle is PPG Paints Arena, the home of the Pittsburgh Penguins. A short walk across one of the many bridges stretching across the Allegheny are the homes of the city’s other two professional sports teams – the Pirates’ PNC Park and the Steelers’ Heinz Field. The Steelers also will be in action during the Total Tech Summit. They will host the Carolina Panthers on Thursday Night Football on Nov. 9. The Steel City, for which those Steelers are named, received that moniker because it once was one of the largest steel producers in the world and still is home to the headquarters for U.S. Steel. Pittsburgh also is known as the City of Bridges. Due to the presence of the Allegheny, Monongahela and Ohio Rivers, the city has more bridges than any other city or region in the world. 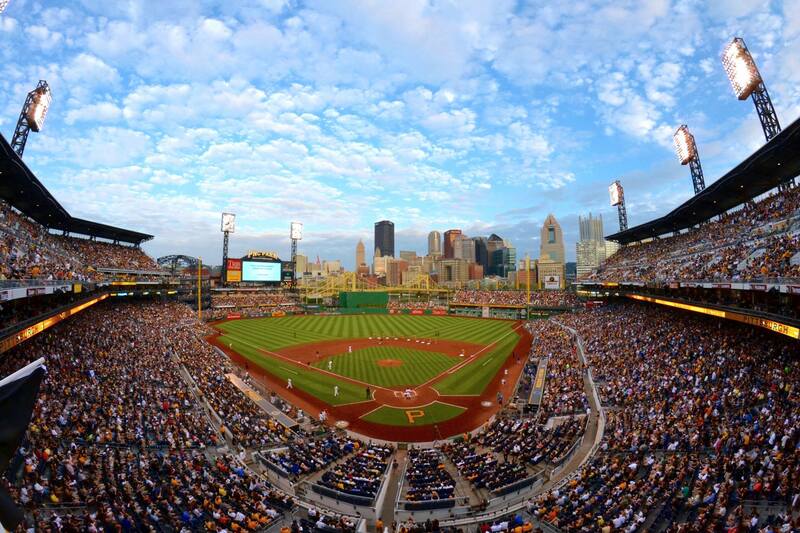 PNC Park, home to the Pirates, looks out on downtown Pittsburgh. It is a noteworthy statistic, especially given that it is more of a mid-sized city rather than a sprawling metropolis. Its population of 305,704 in 2017 made it just the 63rd largest city in the U.S. Its area of 58.35 square miles, makes it significantly smaller than other major cities. Despite its smaller size, Pittsburgh has plenty of history worth exploring. It has an abundance of distinguished museums including the Andy Warhol Museum, the Carnegie Museums and the Clemente Museum. It also is becoming known as one of the nation’s newest tech hubs. 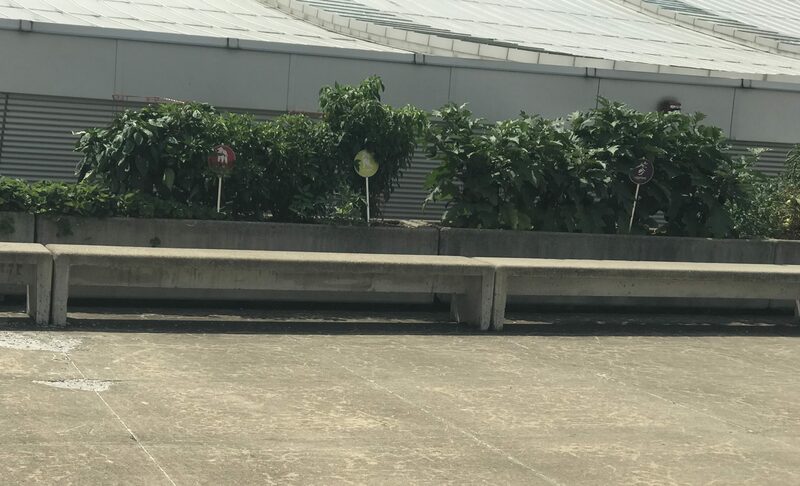 It is starting to establish itself as a leader in several areas including robotics and artificial intelligence – thanks in large part to the world-class research facilities at Carnegie Mellon, the University of Pittsburgh and Duquesne University. The world’s top tech companies also are recognizing its tech viability. Uber opened a self-driving research lab in the city three years ago. Facebook established a Reality Lab for augmented and virtual reality. Apple already has an office in the city and it is rumored to be considering it as the location for the company’s fourth campus. Pittsburgh’s tech viability also has made it a finalist for Amazon’s HQ2. Altogether, Pittsburgh makes for an excellent host city for the 2018 Total Tech Summit. Click here to register to attend or click here for more information on how to sponsor.